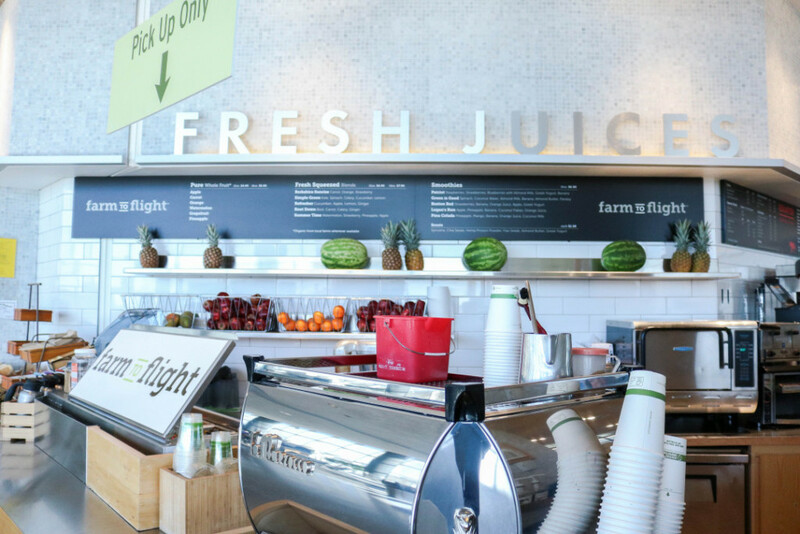 The best airport juice bars are making it easy to guzzle the best of nature’s fruits and veggies. Whether consumed for their perceived health benefits or just enjoyed for their yummy-ness we are on the hunt for healthy airport juice bars. We found some places that have ready-made day juices, others have exotic blended smoothies, and some will even make concentrated juice shots on the spot. Airport juice bars offer quick and convenient snacks. However, they can be expensive, but everything at airports usually is. Despite many of us loving fresh juices, there is an ongoing debate regarding its nutritional value. A post by Mind, Body, Green states 5 Reasons To Stop Drinking Fruit Juice while others believe that getting healthy can be as simple as drinking juice every day. 1.BOSTON-LOGAN INTERNATIONAL AIRPORT- The Berkshire Farms Market Location: Terminal B, Post-security, near gate B20. 4.NEWARK AIRPORT- Mediterranean Bistro – Location: Pre-Security, Food Court. 5.MUNICH AIRPORT – Bistro Organic Location: Terminal 2, Departure, Gate G30, behind security check, Floor Level 04. 6.Phoenix Sky Harbor International Airport, Location: Terminal 4 D Gates, Post-security. 7.Pulp Juice Bars, Dubai International Airport, Locations in Terminal 3, Concourse A , B and C.
8. The Fruteria Botanero by Chef Johnny Hernandez, George Bush Intercontinental Airport, Terminal B, left side where gates B1- B10 split off and San Antonio International Airport, Terminal A, near Gate A3. 10. Juice Factory at Vienna Airport, provides healthy and vitamin-rich fruit and vegetable juices. The Austrian juice bar will mix refreshing juices from different types of fruit and vegetables, such as apples, bananas, kiwis, carrots, oranges, spinach, and peppers. Location: Terminal 3 in the future between Gates F05, and 07. 11. American Trailer at Incheon Airport has a large selection of fresh fruits and veggies to satisfy your juice craving. There are many franchised airport juice bars such as Joe and The Juice, Jugo Juice has four locations in Calgary International Airport, and Jamba Juice also has many locations in many airports to drink up. Whether you love juices or not it could beat having one too many glasses of wine at the airport bar.